After a grueling 38 hours journey, leaving JFK in a blizzard, ISMS TEAM ENT arrived in Cavite in the Southern Louzon province of the Philippines. Our team was met with a deluge of giant thyroid tumors and head and neck pathology. 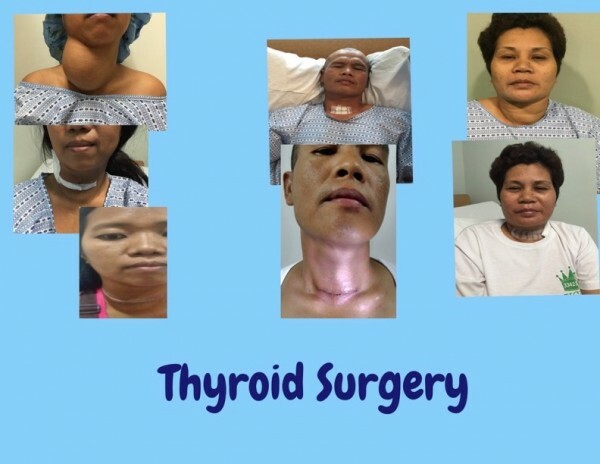 Our ENT Head and Neck Surgeons faced some of the largest goiters we had ever seen and we were challenged with many thyroid cancer cases. Many of the cases lasted 3-4 hours in length and our team’s stamina was put to the test. While we ran 2 operating rooms with head and neck pathology, our Plastic Surgeon was handling the many cleft lip and palate surgeries that were from the area in and around Manila as well as patients who traveled for several hours from the hurricane leveled city of Tacloban for our help. Our team was challenged to the fullest with a 6.5 hour parotid tumor resection and reconstruction that required the skills of all 4 surgeons due to its complexity. The people of the Philippines were welcoming and wished our speedy return.